Annual holiday-flavoured beverages – Peppermint Mocha (back for a 16th year! ), Toasted White Chocolate Mocha, Caramel Brulée Latte, Chestnut Praline Latte, Gingerbread Latte and Eggnog Latte – are all back in stores, and available hot, iced and as Frappuccino blended beverages. During the holidays, memories from the past help connect us across time and distance. This season, Starbucks stores are celebrating the spirit of yesteryear with a modern twist. “We started this season by looking to the past,” says Kristy Cameron from the Starbucks Creative Studio. When dreaming up holiday plans more than 18 months ago, the Seattle, Washington-based company’s Creative Team passed around one-pound bags of Starbucks Christmas Blend (also available beginning today) from more than 30 years of the beloved brew. 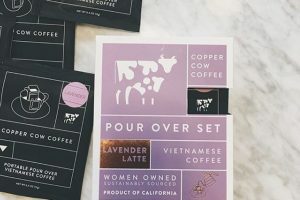 “Looking back at our heritage, we found something lovely in our own story, with beautiful coffee and flavours that come together to make the season magical,” Cameron says. The creative team snipped pieces from Starbucks holidays past – a star, a branch of coffee cherries, a flame. They added vintage colours and patterns, like mint green and argyle and reinterpreted them with graphic flair, and a dash of glitter and shine. Stripes: On each bag of Starbucks coffee there is a sealed seam that runs along the back, called a fin. Starbucks has been adding a contrasting colour along the fin as a design element for years, and the team found a way to bring that design element to center stage. A take on the iconic red cup, the Stripes holiday cup features graphic bands of bright poppy red and a darker cranberry, accented with white pale rose gold. 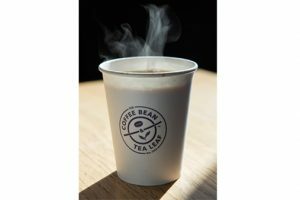 A ribbon of black, white and Starbucks green on the back ties all the four cup designs and reappears in merchandise and store signage and displays. 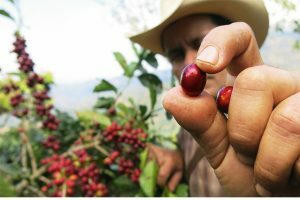 Flora: Ripe coffee cherries have evoked festive holly on packaging over many years, including 2013 and 2017. In a nod to Starbucks coffee heritage, the Flora design features mint-green graphic leaves with pops of colourful bright red berries against a cream-coloured background. Espresso Houndstooth: Starbucks Christmas Blend Espresso Roast is known for its intense flavour and caramelly sweetness. Designers used fire to represent this rich, dark roast, and reimagined it as elegant flame in the red and white retro Espresso Houndstooth design. Stargyle: Stars often appear in Starbucks designs, even winking atop the Siren’s crown in the company logo. The illustration of a couple reaching up to place a star atop a holiday tree from Christmas Blend 1999 was the starting point for this year’s Stargyle design. Here the stars twinkle against a backdrop of interlinking diamonds in varying shades of Starbucks green. Limited-Edition Red Reusable Cup: Starbucks is giving customers who order a holiday beverage on 2 November a free, limited-edition reusable red cup, while supplies last. 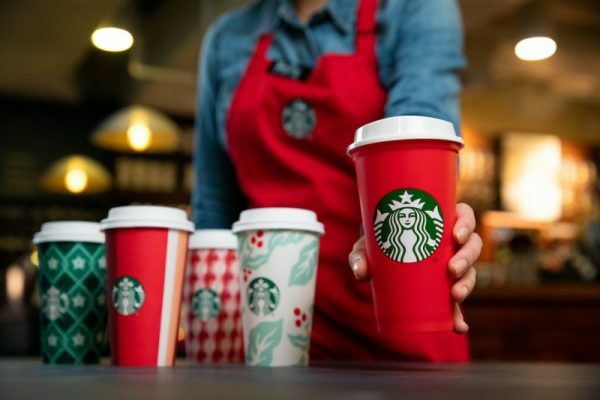 Customers who bring their reusable holiday cup to a participating Starbucks company-owned or licensed store in the US or Canada after 2pm between 3 Nov and 7 January 2019 will get USD $0.50 off their handcrafted grande (16-ounce) holiday beverage.